My current version of Android Studio runs fine, except for its virtual devices (running apps on a virtual Nexus in case I do not have a Nexus phone). Why is this happening? Because I have had the Android development environment on my Macs since Eclipse, and thus, over many years, I imported so many old settings that I think it is a miracle that my Android Studio runs at all! I went to the Informal Android Meetup in Mountain View last week to ask for a little help fixing my virtual devices. The nice lady heading it up gave a lot of suggestions, none of which really worked. But we did find that my installation was likely looking in all the wrong places to run my virtual devices. How? I was able to run some from the command line that did not run in the virtual device manager. I copied some information from my system-images folder into where my Android Studio looked for my specific virtual devices. That is way too messy! Anyhow, the meetup leading lady believes that the best thing for me would be a complete reinstall. I agree. Sure, there will be lots of downloading, since I'll be reinstalling the SDKs and so forth all over again. But it's not like I am not used to that, I've been doing that since Eclipse! For now, I can run the Android Studio apps directly when I plug in my LG G3 phone. But soon, I'll be cleaning out all the old libraries and the app and reinstalling from scratch (no, I do not just drag the Android Studio app into the trash). P.S. I found another little bug in Google Assistant. I say, "Ok Google, play Take Five by David Brubeck." I keep getting "Take 5," some little boy band with little high voices that make little pre-teen girls scream for a little while till they find the next little boy band. Ugh. I want the cool Take Five that withstood the test of time, not the Take 5 that had a shelf life of 14 minutes. Click below to hear the REAL Take Five! When you speak to your android, spelling counts. ​You have an Android phone? 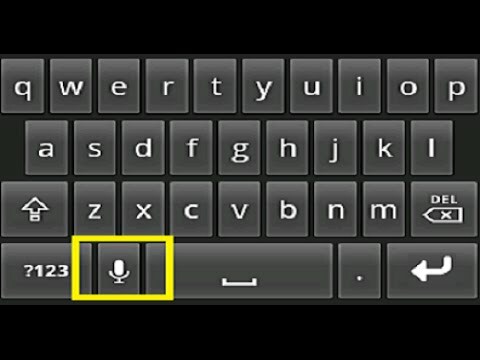 You've seen that microphone icon on the onscreen keyboard? When you want to text, as in Google Hangouts or Messaging, give your fingers a rest: press the mic icon and SPEAK your text! I play my music this way in my car. Over the years, I have made music playlists for my Super Holly stories. But every time I said, "Ok Google, play my Comic Book Code playlist", my phone went to my web browser instead of my phone's playlist. How come? Spelling! I had named my playlist "_Comic Book Code" because long ago, I wanted that list to show up high on my old Firewire iPod playlist display. Guess what, I do not know how to speak an underscore. I removed the underscores from my playlist names. Now when I speak, my playlist plays. P.S. I wonder if my character Cal "The Intellectual" Critbert would have this trouble with the Intellecta-car? No, he has a telepathic link to the car. Holly won't have that speaking trouble, but she will get into a punch-the-dashboard argument to the tune of the Hungarian Rhapsody. Watch for that on davemstrom.wordpress.com. ﻿So THAT'S what Sphinx looks like! For a recent interview at LinkedIn, one of the tech writers there suggested I learn a little Sphinx. Sphinx is a documentation generator for the Python programming language. I followed the steps to install Sphinx HERE. I got through the steps. However, I wanted more. For one thing, I was not sure if my Python was set up. And I wanted Python code to run, and into which I could put Sphinx commands to auto-generate API documentation (as I did using Javadoc during my stint at Hazelcast). So I started a Lynda.com video class: Python 3 Essential Training. I installed the latest version of Eclipse (well, maybe I shoudl have used Xcode, but I needed to update my Eclipse anyhow). Then, in the section for Installing Python 3 and Eclipse for Mac, it asked me to find the Python interpreter. I had to type in the path to the interpreter instead of navigating to it. Why? Because the Python was in /usr/local/bin, and usr would not show up when I clicked Browse. I followed the First Steps for Sphinx that show how to run sphinx-quickstart and generate some simple hello-world type documentation. I found that easy enough to read, like Markdown. But I also wanted to generate a little bit of API documentation. Like Javadoc. I had the Lynda.com Python code for generating a Fibonacci sequence. I ran it and knew it worked. Then I found a YouTube video for using Sphinx to document python code. Even though I had already set up a Sphinx project with sphinx-quickstart, I ran through the steps again to create a cleaner project. I copied the Python project into that project folder. And I inserted a simple command: """Return a Fibonacci sequence.""" And I generated a Python code web page in my project. Yay! But I have more to learn (such as listing out al the parameters). The lesson I learned: Although I can run through nice tutorial text steps, a video showing the steps make the process much clearer. As in, "Oh, so THAT'S what it looks like!" I was at Red Rock Coffee, and found an Informal Android Developers Meetup. Met a nice guy who noodles with Android. And he found a glitch on the following page for Google’s Android APIs. The nice guy believes that onStart() really ought to be to be onCreate(). Off the tope of my head, I am inclined to agree. onCreate is when you create an object, onStart is when you start it. Like in the diagram on this page (you have to scroll down a bit to see it). From what I glean at the Google books webiste, you use onCreate() to create an activity, (I’d say instantiate it), while you call onStart() when the process is just being launched, or it was hidden, or when the service is started via startService(). onCreate() to create it, onStart() to start it up. That makes more sense to me, a tech writer learning Android. Then Search Books for “Beginning Android 2 By Mark Murphy”. Then Search in this book for “onCreate onStart”.